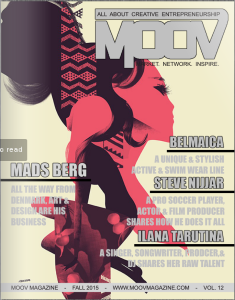 MOOV Magazine Fall Issue 2015: HIBERNATION is for BEARS! Winter is quickly approaching. People have the tendency to hideout, overdose on Netflix, drink wine and eat take out! Hibernation is for bears! Don’t trade lulu’s for oneises just yet! Make this winter the one you stay in shape! Embrace the winter season! Be brave and put a “temporary hold” on your gym membership! Get moving OUTSIDE! Walking to Starbucks for a “grande pumpkin spice latte with whip” is not allowed! Love yourself enough to pass on 380 calories, 14 grams of fat, 52 grams of carbohydrates and a whopping 52 grams of sugar! Like I said before, “Dogs get treats for good behavior not people!”. Don’t spend the long winter months hiding out in comfy sweats! Change your game plan! Choose the right footwear, grab your tunes because nature’s winter treadmill awaits. Walking is never out of style! Plan ahead and pick a ‘warm up’ destination! Drink herbal tea or apple cider with a side of cinnamon! Cinnamon helps regulate blood sugar making it easy to pass on sweeteners and syrup! STOP! Put back the baked goods! Picture yourself on the beach! You may just take a winter get away! You can’t pack the parka! Walking too low key? Layer up and get ready to sweat away winter pounds! Don’t forget sunscreen, sunglasses, water and a snack! Be prepared with up to 1/2 cup raw nuts and seeds to nibble on! 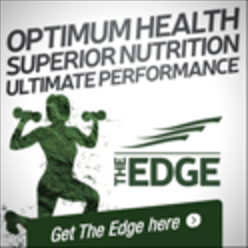 Healthy fats and protein digest slowly which keeps you satisfied! Winter sports engage large muscle groups. Legs require lots of blood and oxygen allowing you to burn approximately 250- 1000 calories per hour. Snow shoeing is a great cardiovascular workout! The faster you move,the more calories you burn! Incorporate lunging on an incline. This helps build a booty! Cross Country skiing may not be designed for adrenaline junkies but it’s the perfect whole body outdoor winter workout! Never skied or boarded? Leave your ego in the chalet and invest in a lesson! Quite sure there’s a dented tree in Hidden Valley HIghlands with my name on it! First timer? Bring a helmet! Stop sitting on the sidelines! Try pleasure skating! Borrow, rent or buy skates! Take a whirl on an outdoor rink! Our beautiful city offers inexpensive lessons at any age! Feeling competitive? Join a hockey league! Stay in shape but go easy on the social aspect! Don’t kill gains by loading up on post game beer and wings! Excess sugar and fat calories aren’t your friend! You can always find an excuse to stay home, crawl into bed and find your friends in the spring! This winter make it a point to put your best winter hiking boot forward! Use low fat milk, coconut or nut milk in hot chocolate. Skip marshmallows, toppings and flavor boosters. Try nutmeg, cinnamon and real cocoa powder. Quick tip: Drop a square of high quality dark chocolate into hot milk! Take a pass on baked goods! Healthy ingredients DON’T mean low fat or low sugar! Dates, agave and maple syrup may be healthier than white sugar or corn syrup but they all pack on the winter flab! Unused sugar turns to stored fat!!! Squash, potatoes, carrots and the rest of the Autumn vegetables are nutrient and fiber dense. Use INSTEAD of your regular carbohydrates! Warm up the system from the inside. Improve circulation by adding cayenne pepper, rosemary, ginger, garlic, tumeric, horseradish and cinnamon to recipes! There is nothing better than warming up on a winter day than…. *1 15 Oz can of chick peas, white beans and kidney beans. Sauté chopped onions, celery, red pepper, carrots and mushrooms on low to med heat in 1 tablespoon olive oil. Add garlic, chili powder and cumin. Add tomato paste, diced tomatoes, all beans and corn. Add oregano,basil and coconut sap. Bring to boil and reduce to low. Simmer and it’s ready! Simplify by placing everything in a crock pot for 4 hours on low! *Holistic help: Whether produce is fresh, frozen or canned try and choose organic whenever possible. Corn is predominately a GMO crop! Eden makes a great line of organic products in BPA free cans! Chia is a healthy fiber being used as our gluten free thickener. Yes, flour would work! 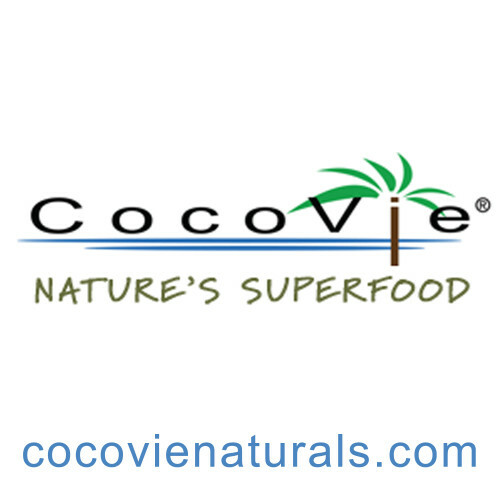 Coconut sap is gluten and soy free. This low sodium flavor booster contains aminos! Don’t forget to buy low sodium beans or rinse with water! Winter is not for whining! Buy a plaid shirt! Grow a beard! Buy a camouflage ski coat! 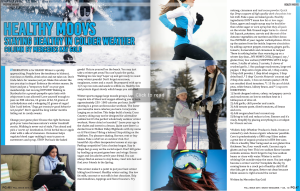 Get outside enjoy the snow…you just might become a winter warrior!! Complete the day by coming home to a crock pot of healthy chili! If all else fails, get to the gym! Better eat clean because bikini season is right around the corner! !